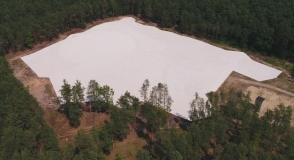 On the grounds of the former German death camp in Sobibór the work on the protection of mass graves containing ashes of the camp victims has finished. It was the first phase of the international project to create the Museum – Memorial Site in Sobibór. 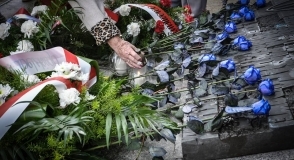 Accompanied by the former prisoners of the German Nazi concentration camp at Majdanek as well as municipal and provincial authorities the commemoration of the subsequent anniversary of the liquidation of KL Lublin took place on 21 July. The gathered paid tribute to the victims by lighting candles and laying flowers. The commemoration was preceded with the screening of a documentary and a special exhibition of the former prisoners. On July 14, 2017 the State Museum at Majdanek was visited by a delegation of the District Inspectorate of the Prison Service in Lublin, headed by Col. Wlodzimierz Jacek Głuchem. This visit was aimed at signing a cooperation agreement between the Museum and the Prison Service. 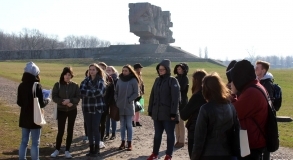 Young Germans, who will begin volunteering in various institutions commemorating the victims of World War II and social welfare centers in Europe, the United States and Israel, have been involved in the educational seminar organized at the Majdanek Museum. On September 24-30, 2017, the 14th edition of the Lublin Science Festival will be held. This year's edition will run under the motto “Science – between tradition and modernity.” The State Museum at Majdanek will take part in it for the 12th time. The National Remembrance Day for Victims of the Nazi German Concentration and Extermination Camps is commemorated on June 14. On this day, former prisoners of Majdanek and other camps will meet with the youth from the Lublin high schools. On June 5 and 7, 2017, the students of the Stanisław Staszic High School No. 1 in Lublin took part in an educational project at the State Museum at Majdanek. The programme of the visit included, among other things, cleanup work in the area of the former concentration camp. Their task was to clean the edging around the barracks nos. 1 and 2 on the third prisoners' field. 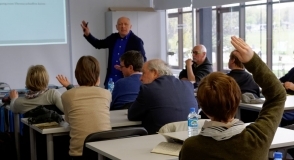 An educational seminar for teachers from Germany was held at the State Museum at Majdanek. Its aim was to familiarize its participants with the history of German occupation in the Lublin region and to present the educational offer of the Museum related to the work with school students. Lublin Tourist Card is a product designed for people who are interested in the tourist offer of Lublin. 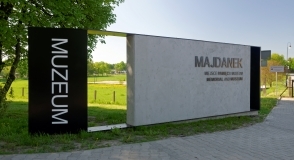 During its visit to the Majdanek Museum, its owners will have access to free museum parking. Between May 15th and May 17th, two trainees from Daimler AG (Timo Besemer and Matthias Mischke) took up the practice at the Majdanek Museum. One of the important tendencies in the development of museums are aspirations to build a message that stimulates imagination as well as triggers an interaction between visitors and museum exhibits. The key question is what can be defined as museum experience and what it comprises of. 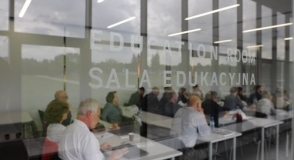 These questions were pondered upon during the panel discussion “Museums as the place of experiencing” organised on May 18 by the State Museum at Majdanek. One of the important tendencies in the development of museums is aspirations to create an imagination-stirring message and to trigger an interaction between visitors and museum exhibitions. The key question appears to be definifion of a 'museum experience' as well as its make-up. The participants of a panel debate organised by the Museum at Majdanek will discuss this issue, among many other thing. The debate takes place on May 18 at 12.00. The tragic heritage of the Second World War in the awareness of Poles and Germans, the Polish and German culture of remembrance as well as the content and form of commemoration were only a few issues touched upon during the educational and historical seminar organised by the State Museum at Majdanek for employees of memorial sites in the Land of North Rhine-Westphalia. “Zagłada Żydów w Generalnym Gubernatorstwie. Zarys problematyki” constitutes a synthetic description of the Holocaust carried out by the Germans in the years 1942-1943 within the framework of the so called “Aktion Reinhardt.” The newest book by prof. Dariusz Libionka published by the State Museum at Majdanek is earmarked for a wide readership. 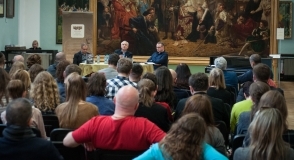 On May 4, promotion of publication “Zagłada Żydów w Generalnym Gubernatorstwie” by Dariusz Libionka took place in the Lublin Museum. 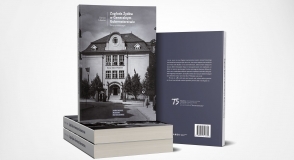 The newest book by the State Museum at Majdanek is a synthesis of the Holocaust in the General Government and is earmarked for all interested in this topic. The book launch was accompanied with a panel discussion and visiting the exhibition “Districts of Extermination” with its curator. 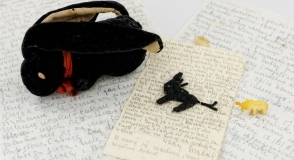 On 29 April the State Museum at Majdanek opened a new exhibition presenting private documents and photographs found on the grounds of the former German concentration camp at Majdanek. The vernissage of the exhibition “Testimonies of Life at the Place of Extermination” was accompanied with a short lecture and a presentation of original objects belonging to Jewish victims murdered in the death camp in Sobibór. 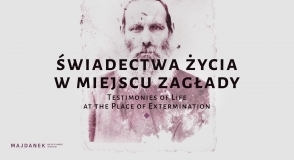 On 29 April at 12.00 in the Visitor Service Centre of the Museum, opening of exhibition "Testiomonies of Life at the Place of Extermination" will be held. The artifacts to be exhibited had not been presented to wider audience. The vernissage will be accompanied with a presentation of original objects belonging to people who were murdered in the death camp in Sobibór. The State Museum at Majdanek marked the Holocaust Remembrance Day. 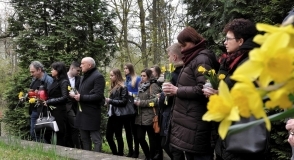 On 19 April, the event commemorating the Jews murdered in the Krępiec Forest, the site of mass executions, was organised. The celebration was preceded by a meeting with a former prisoner of the Majdanek camp – Zdzisław Badio. Historical workshops for German youth from the Secondary School in Schermbeck and Polish youth from the Fifth Secondary School in Lublin took place at the Museum at Majdanek from March 31 to April 1, 2017. 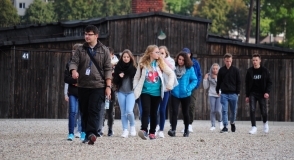 The State Museum at Majdanek organizes the second edition of the educational programme "We Remember ... March 17 – April 19", which is aimed at students of middle and secondary schools, who would like to discover the history of occupied Lublin and people who lived there then. 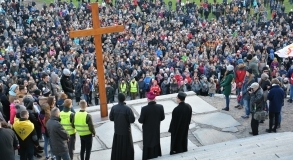 On April 7, for the 18th time, the Way of the Cross took place on the grounds of the former concentration camp at Majdanek. It was participated by over seven thousand inhabitants of Lublin and the Lublin region, as well as a group of over 200 Ukrainians. The State Museum at Majdanek was donated the family archive of Dr. Stefania Perzanowska. She was a prisoner of Majdanek, a founder of female camp hospital in the former concentration camp at Majdanek. The collection consists of over half a thousand of original documents dated 1911-1974, relics and scans of photographs. Donors are grandchildren of Dr. Perzanowska – Krzysztof and Andrzej Korczak from Warsaw. On 27–31 March 2017, the historical practice at the State Museum at Majdanek was attended by the students of Friedrich von Bodelschwingh Gymnasium Bethel in Bielefeld. Together with the youth from the V Liceum Ogólnokształcące in Lublin, they took part in the workshops devoted to the history of the occupied Lublin region.